For those who are going on a citytrip to Budapest I would like to explain some things about the public transport here. As this is not simular in each country, it may be good to know that the public transport in Budapest is perfect! Neither in Holland or Spain have I experienced such a good connection in a city with this amount of people. Budapest is always busy, day and night, 7 days a week. And has about I believe about 1.7 million residents. 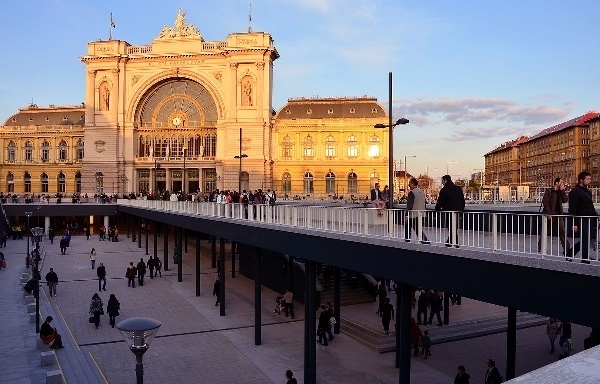 The difference between public transport in Budapest and Holland may be the biggest, not only are there better connections here, but also you have many options: bus, tram, metro. So you can pick the transportation you prefer when traveling! I personally hate going in the metro station, it makes me dizzy going down the stairs to the underground, though you travel very fast from one side of town to the other, I prefer the tram! Sometimes you need to combine a bus and tram, but most of the times you can walk only a few hundred meters before reaching a tram station. You will see them leave every few minutes, on sunday maybe every 6 minutes or so, depending on where you are going. You need to get a ticket from the ticket machine to travel by public transport, which you can find at any tram or metrostation. So there is always a ticketmachine nearby, but be aware that many times they are not 100% functional. With this I mean that many times you will find yourself at a ticket machine to discover that you can only pay with a bank card, not by coins or paper money. I would discourage you to pay with your bankcard, unless you have a Hungarian bank card, but then you must always choose the option: without reciept, othterwise they charge you more than 1 single ticket for it. The first time I payed 2 single tickets (350 Hungarian Forint) the bank charged 2x 600 HUF on our bank account! Beware of this, so you don't get charged extra afterwards. 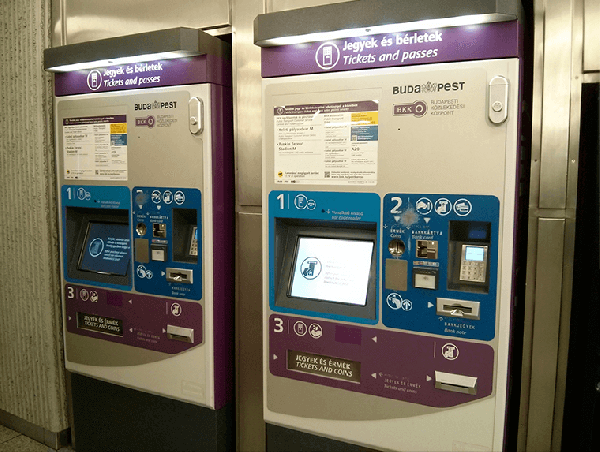 Don't worry if you don't speak Hungarian, you can choose several languages at these machines! We live in Budapest, and we decided to buy the card that is valid for one month. This will cost 9000 HUF (about 27 euro's) but it is really worth it, because for every single time you take on of the transportations you will need to pay 350 HUF. Most of the times we need to take more than 1 of them for a single route, times two to get home. And as you are here, you will see Budapest is HUGE, and eveything is far from eachother, if you want to enjoy the most of Budapest, you should really make yourself comfortable and save time walking! Especially in winter time, when it is cold !